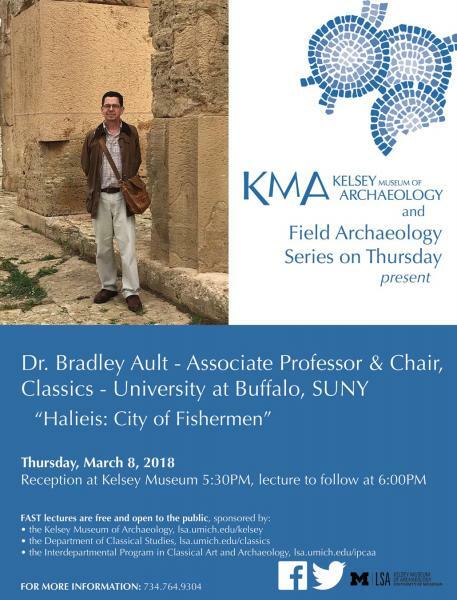 Presented by Field Archaeology Series on Thursday; sponsored by the Kelsey Museum of Archaeology, the Department of Classical Studies, and the Interdepartmental Program in Classical Art and Archaeology. Reception at Kelsey Museum 5:30 PM, lecture to follow at 6:00 PM. FAST lectures are free and open to the public.